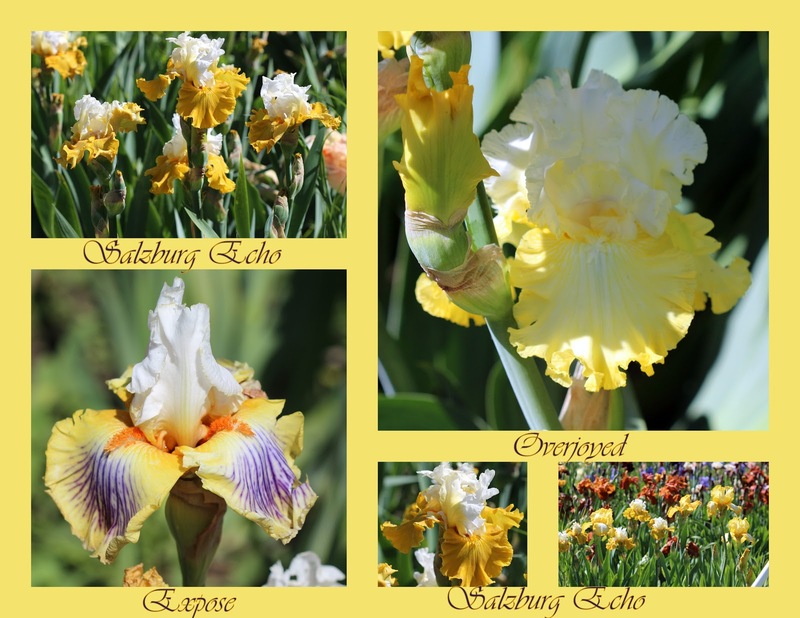 As much as I adore Spring, when iris really have their season, I enjoy the anticipation and excitement of Fall, watching and waiting for rebloomers to appear and show off their special genes. Inspecting my garden, I am surprised and delighted by which blooms are flagrantly coloring my otherwise drab fall landscape, and also checking my database to see which rebloomers are lazily missing their fall display, opting instead to nap through the seasons without the parade and dazzle. Of course I’m playing a guessing game why some rebloomers are in full riot and others...not so much. Location, watering throughout the year, when and how much fertilizing, what kind of bed, and how much direct daylight are variables at play, so it will of course remain something of a mystery. The flowers in bloom keep me excited for the big event in Spring, and the enigmatic sleepers keep my problem-solving mind engaged in the mystery. What’s not to love? As for the garden overall, somehow a year has elapsed since Chris and I began our project of raised beds, kiddie pool beds, and re-purposed tire beds. It was a hot, dry year, during which I blithely purchased a coffee-house and bakery, so I didn’t chronicle the progress and processes of each kind of bed with the same detail I gave to, say, our hybridizing. But, I do have a report of how things went, which ideas worked, which need tweaking and which I really loved. For the sake of accuracy, I am showing you the beds as they are, warts and all. I am clearly behind in my weeding and clean up, so you don't need to remind me, I know, I know! The kiddie pools, well, those were the most mixed results of the group. I loved that they were portable, and off the ground. We did have moisture control issues with them, though. A bit too wet when it was rainy (which we mostly resolved with more drainage holes), and hard to keep evenly (and adequately) watered with drip alone during the hot months. I lost 40% of the rhizomes in the one set of kiddie pools. The other set had a different kind of drip, and had more regular watering, and grew 700% more weeds, but I think I only lost two out of 40 rhizomes from those pools. I will try the pools again, adjusting the type of soil, the drip emitters themselves, and the amount and frequency of watering… maybe we can get better results from all the pools this year. This bed started out with a few more rhizomes than we have now, but we caught that it wasn't getting enough water pretty early on. Now we just have to watch for it getting soggy in heavy rain. Please disregard all the weeds. They are on my to-do list, I promise. The raised beds were easy and successful, but we did not treat the wood for fear that any sealants/paints used to preserve the wood would emit harmful gasses into the soil and damage the roots or rhizomes. That means I may only get one more year out of the beds before the wood falls apart. The raised beds performed brilliantly, with good drainage and the roots seemingly remained cool. The performance from those beds was excellent. The raised beds were greatly successful, and when we add more this year, we will be using more amendments. Once again, please do not let the weeds distract you from the iris. Despite heavy use of Preen, the weeds came in this Fall with gusto. Turns out everything grows well in the tires. We will definitely do more tires this year! I will be planting my 400+ new rhizomes differently than this first batch. I am going to add more amendments to keep the soil softer (even this good loamy soil gets hard in our extreme summer heat), and instead of planting by bloom season (left to right, early, mid, and late blooms), I am planting by colors. Whole beds of whites, next to beds of pale yellows, followed by beds of bright yellows… I am excited to see if we can create a panorama of color throughout the season. We also will be adding another 20 or so raised beds for the seeds from our 2016 hybridizing. We ended up with well over 1400 seeds, and even limiting ourselves to 16 seeds planted per pod, it is going to be a significant undertaking. They’re all happily in their soup containers in our project refrigerator. Mid-January, we will start their planting. That leaves me how long to get my database updated and ready? Oh boy, I’d better get going! In the meantime, back outside I go, to see my rebloomers. The promise they make for an amazing Spring is my inspiration to keep going, even when it gets cold and windy. What can I say, I’m a sucker for the big show! And, because I love sharing photos, here are some current rebloomers! 'Orange Juice' (Michael Sutton, R. 2009). Seedling #R-687-A. TB, 33" (84 cm). Midseason bloom and rebloom. Standads orange flushed pink at midribs; style arms orange; falls creamy orange, white area at end of angering beards; pronounced sweet fragrance. 'Return Address' X 'Tropical Delight'. Sutton 2010. 'For Your Love' (Larry Lauer, R. 2002). Seedling #365-2. IB, 18" (46 cm), Early midseason bloom. Ruffled white with light blue cast; style arms light blue; beards yellow with white end and base; pronounced sweet fragrance. 'Chubby Cheeks' X 'Pacific Destiny'. Lauer 2002. 'Chatter' (Joseph Ghio, R. 1992). Sdlg. 88-11C. TB, 34" (86 cm), Early to Midseason bloom. Standards yellow orange overlaid fuchsia rose; Falls yellow orange ground, fuchsia rose sanding at edge; beards burnt tangerine. ('Romanticist' x 82-113G, 'Chuckles' sib) X 'Storyline'. Bay View 1993. It is exciting to go to an iris show or an iris garden, view all the lovely flowers, and then decide to add modern varieties to the garden. Like most things there is a “however” attached. 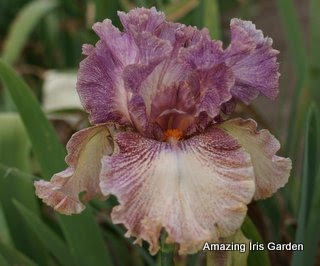 And for the new-to-iris gardener the “however” is what to acquire. 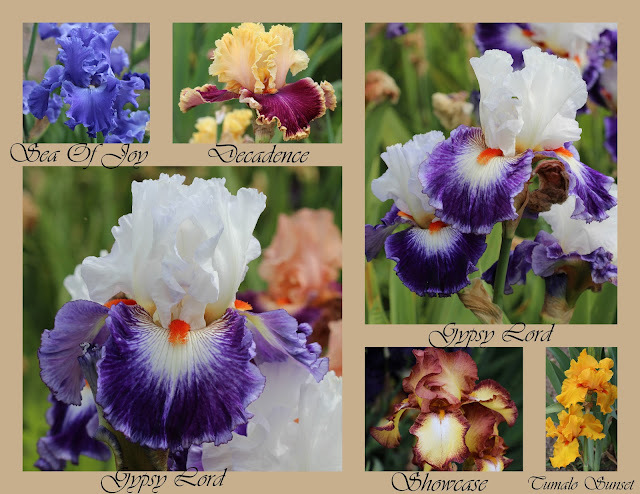 The issue is further complicated by new iris varieties selling for large sums of money. 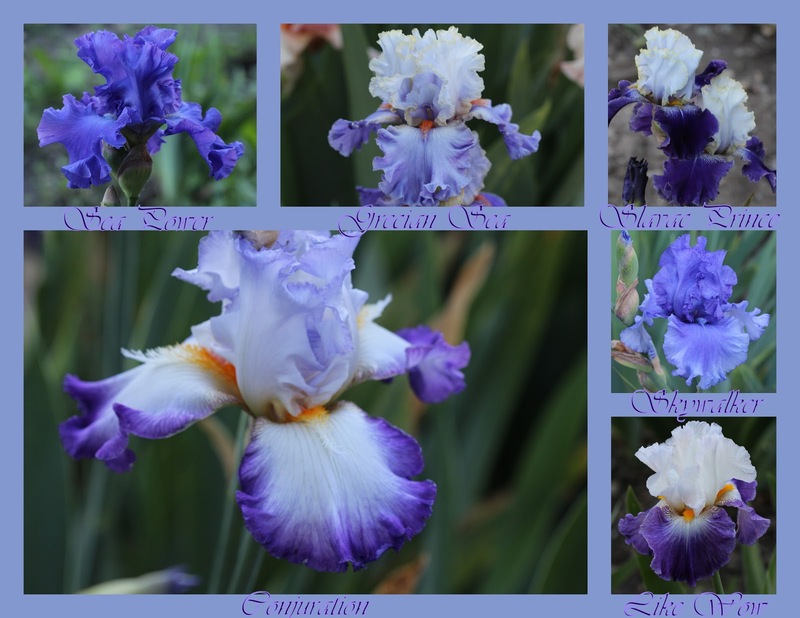 Thinking about this problem, I came up with a list of 15 Tall Bearded irises that have proven their worth over time and are reasonably priced. While the list, presented in alphabetical order, is not perfect, it is a starting point for an iris collection. ‘Absolute Treasure’ (Tasco, 2006). 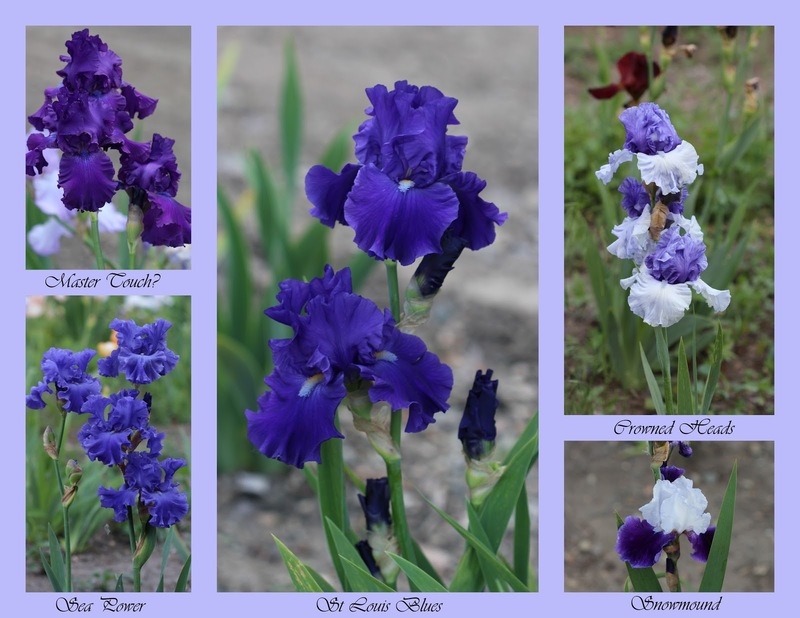 One of the huge reasons for growing irises is that they provide great blues and violets in a garden, color rarely seen in other flower families. This wonderful light blue approaches true blue; it is an award winner with an Award of Merit in 2010 and a Wister Medal in 2013. What I like most about Absolute Treasure is whether I see it on a one year planting, or in multi-year clumps, this variety produces tall, well branched stalks that hold up the large, ruffled flowers without needing to be staked. ‘Arctic Express’ (Gatty, 96). 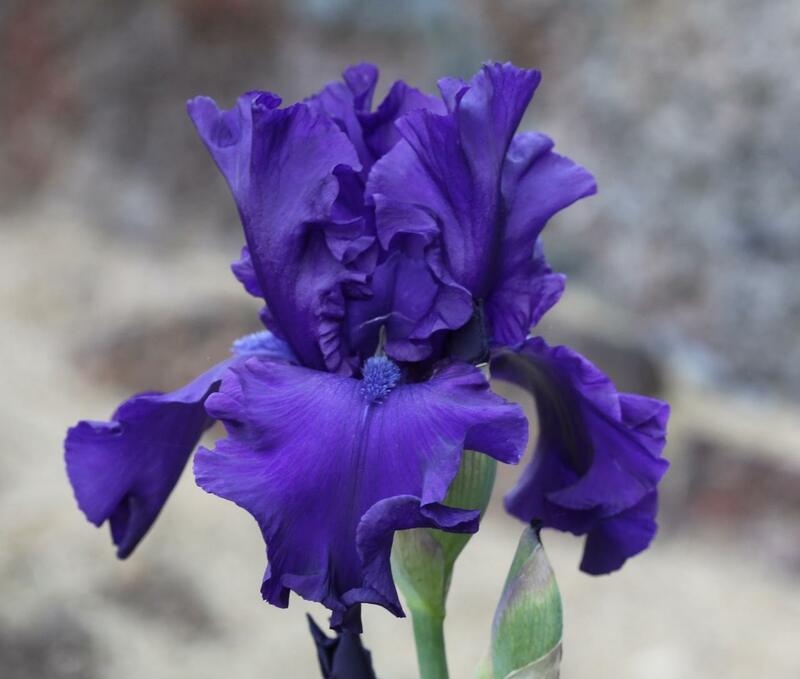 Joe Gatty produced so many lovely irises and had such a great eye for form. It is no surprise, then, that Arctic Express is noted for its deep ruffling. An American Iris Society Award of Merit winner in 2000, this is the gold standard for current whites. I am a strong believer of the importance of white flowers in the garden; an older variety that has also been proven to be time tested is “Carriage Trade” (Gaulter, 1977). ‘Decadence’ (Blyth, 20). 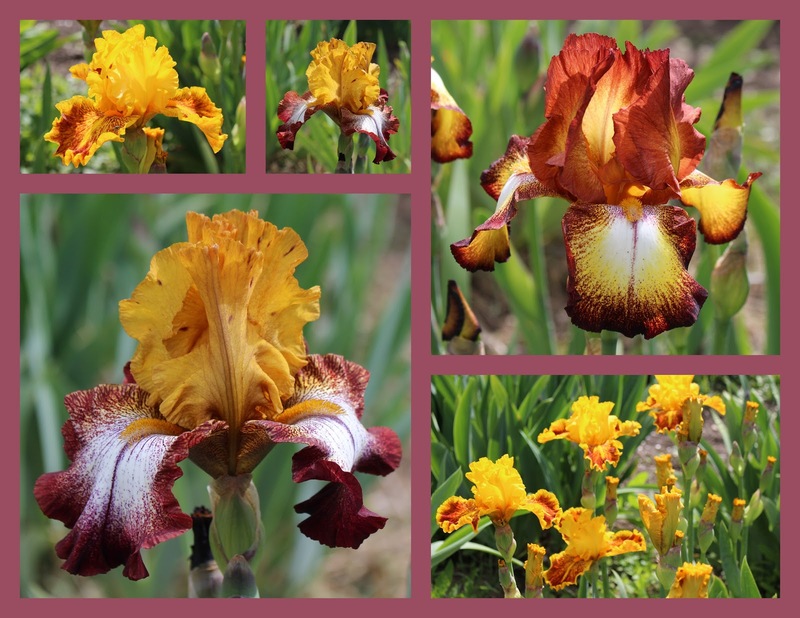 An iris creation from Australia that is noted for being loud, brassy, and ever so colorful. Visitors to a garden always are immediately drawn to this variety with its large, laced flowers. This is not one of those varieties that you have to be a connoisseur to identify—it attracts attention to itself and it is a one of a kind. Decadence won an Award of Merit and the Wister Medal. This bright and ever so colorful iris will become an instant favorite. ‘Dusky Challenger’ (Schreiner 1986). I first saw Dusky Challenger as a seedling in Oregon where it was attracting attention. 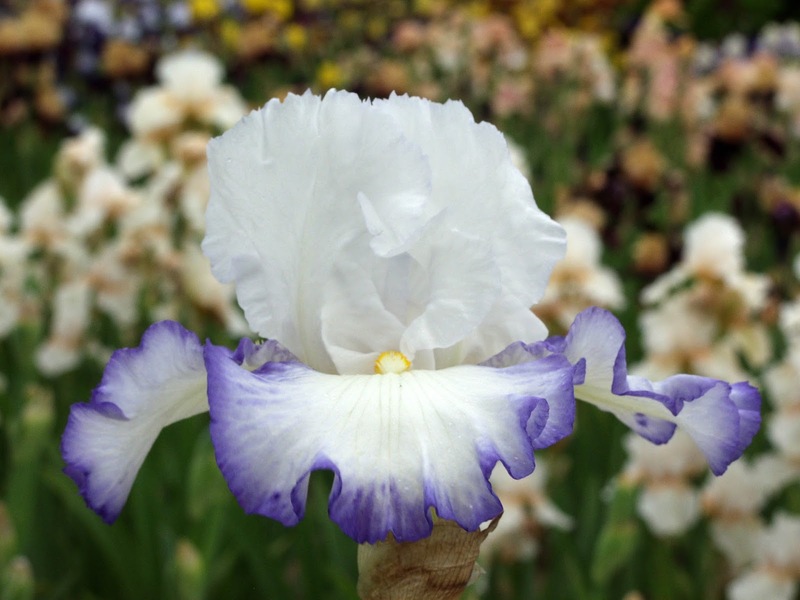 With good form and superior branching, it made a climb up the American Iris Society award—Award of Merit in and Dykes Medal in 1992. 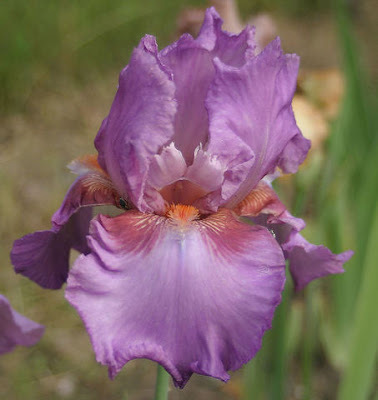 To burnish its luster, Dusky Challenger has occupied the top position on the AIS Popularity Poll for years; it was quickly voted into the Tall Bearded Iris Society’s Hall of Fame. ‘Golden Panther’ (Tasco, 2000). 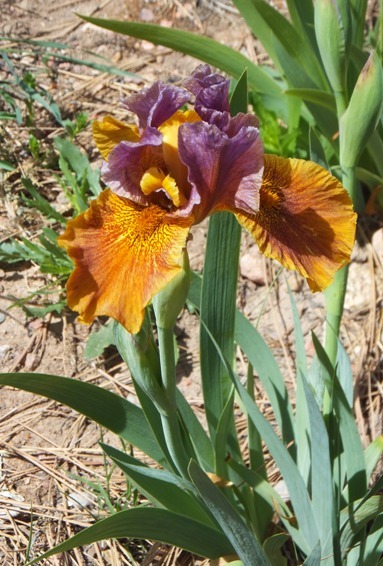 When I first grew this iris, I thought it was only OK, but it was also growing in the shadow of a huge pine tree. Moved to a better location, it has thrived. An Award of Merit winner in 2004, Wister Medal in 2006 and the Dykes Medal in 2009, I do find that its color varies from garden to garden and season to season. Sometimes it is clearly a gold and other years it is much more bronze. In either case, it is a bright beacon in the yard with easy growth habits. ‘Happenstance’ (Keppel 2000). 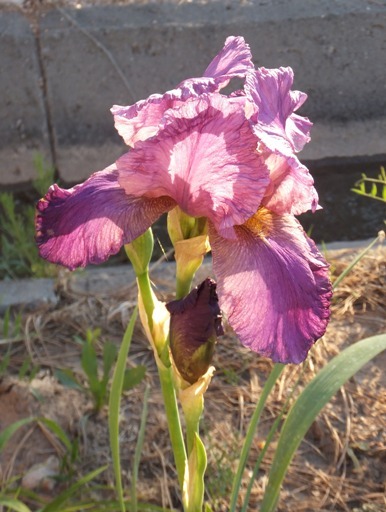 When putting together a list of irises for the beginning gardener, I knew that I would want to have a pink on the list. At the time of its introduction this iris received good press and was well liked—an Award of Merit in 2004 and a Wister Medal in 2006. Ten years later it is still very popular due to its strong stalks, good growth habits, and ability to bloom in many areas of the country. Too often pinks are not the best of garden plants. 'Jesse’s Song' (Williamson, 1983). 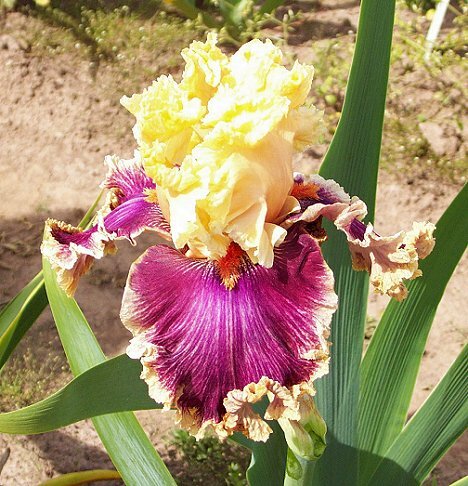 Not the boldest colored plicata in the world, but time has shown this variety to be a great garden iris. Winning an Award of Merit and then a Dykes Medal in 1989, Jesse’s Song has been a hit in the garden and at iris shows. 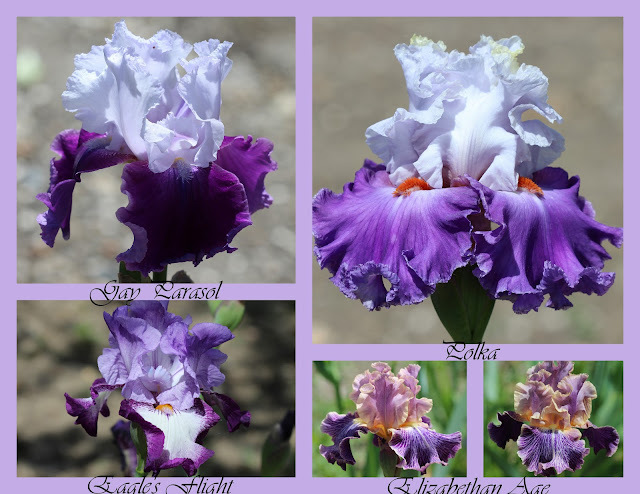 Last year it was in second place on the American Iris Society’s Popularity Poll and it tied for the most Queen of the Show awards in the US. 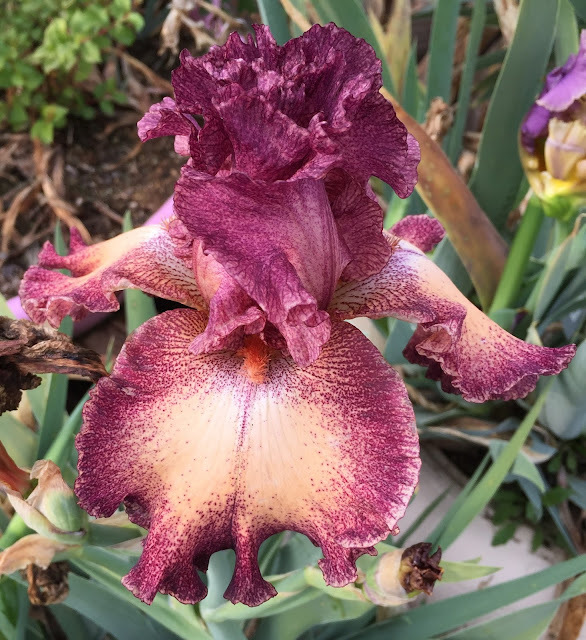 One of the first irises voted into the Tall Bearded Iris Society Hall of Fame, Jesse’s Songs likes to grow and bloom in all parts of the country. 'Lady Friend' (Ghio, 1981). When it was introduced, Lady Friend did get some attention, winning an Award of Merit in 1985; however, while many of the other Award of Merit winners from that year have disappeared from gardens, Lady Friend is still widely grown and continues to be on the AIS Popularity Poll. The main reason is that it is a variety that grows and blooms with ease; secondary reason is that it is one of those unique colors. For those reasons, it is widely grown and appreciated. 'Ozark Rebounder' (Nicodemus, 2003). I was searching for a dark-to-black iris for this list and this became my selection for three reasons. 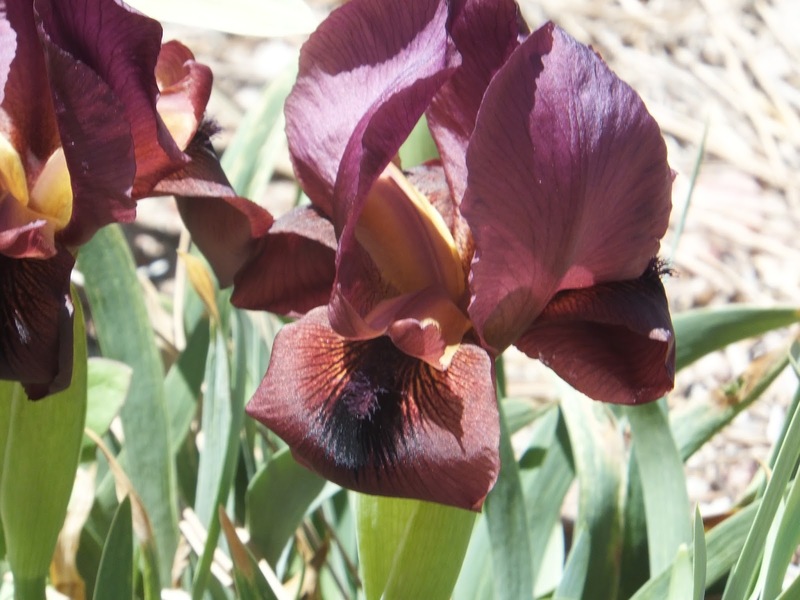 First, Ozark Rebounder has good form in the dark violet to near black color range; second, it grows well around the country; and the third reason is that it reblooms. With reasonable garden culture, it will bloom again in the fall, providing a splash of color. An Award of Merit winner. 'Persian Berry' (Gaulter, 1977). 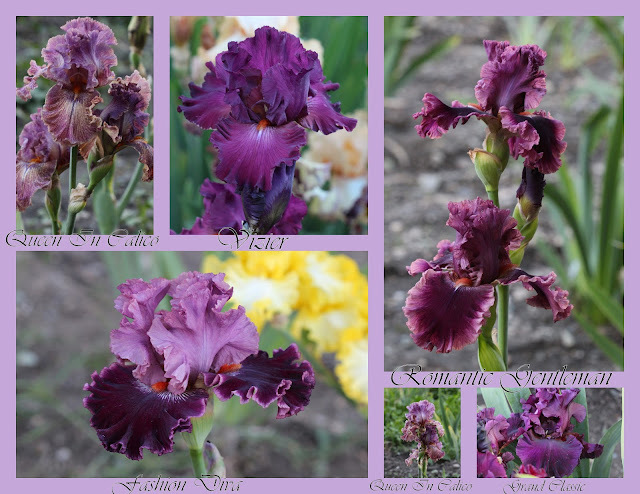 Larry Gaulter is in my opinion one of the underrated hybridizers with four wonderful, still grown, creations to his credit—Laurie, Mary Frances, Carriage Trade, and Persian Berry. And Persian Berry, winner of an Award of Merit, is one of those unique varieties—it has never been improved upon. With its lovely color and its distinctive shoulders, it is easy to spot this variety from a far. A home about 3 miles from me has a clump in the front yard and once it blooms, even from a distance, I can spot it. Very distinctive. ‘Queen in Calico’ (Gibson, 1980). Another Award of Merit winner, this “pink” plicata ranks high in that color class. Still lovely these many years after its introduction, I been told that in some climates it may not perform at its best. 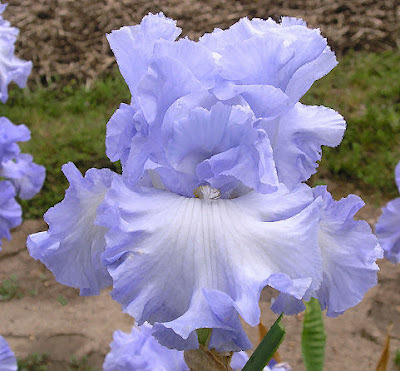 I recommend talking to a local iris grower or your local club before buying this one, but if it will grow and bloom for you, you will be more than happy. ‘Queen’s Circle’ (Kerr, 2000). The Emma Cook pattern had been around for years, but Fred Kerr took that pattern to new heights in this wonderful creation. I consider this one of the best Dykes Medal winning irises in recent years. With lovely, large, ruffled flowers, fine branching and bud count, the plants grow and bloom all around the country regardless of climate. No wonder it won a Wister Medal in 2006 before winning the Dykes in 2007. ‘Stairway to Heaven’ (Lauer, 1993). Softly colored, but there is nothing soft about the stalks and plants. A Dykes winner in 2000, Stairway to Heaven grows and blooms with ease, making large clumps in no time. Branching and bud count are also good as this dependable and easy to please garden iris. 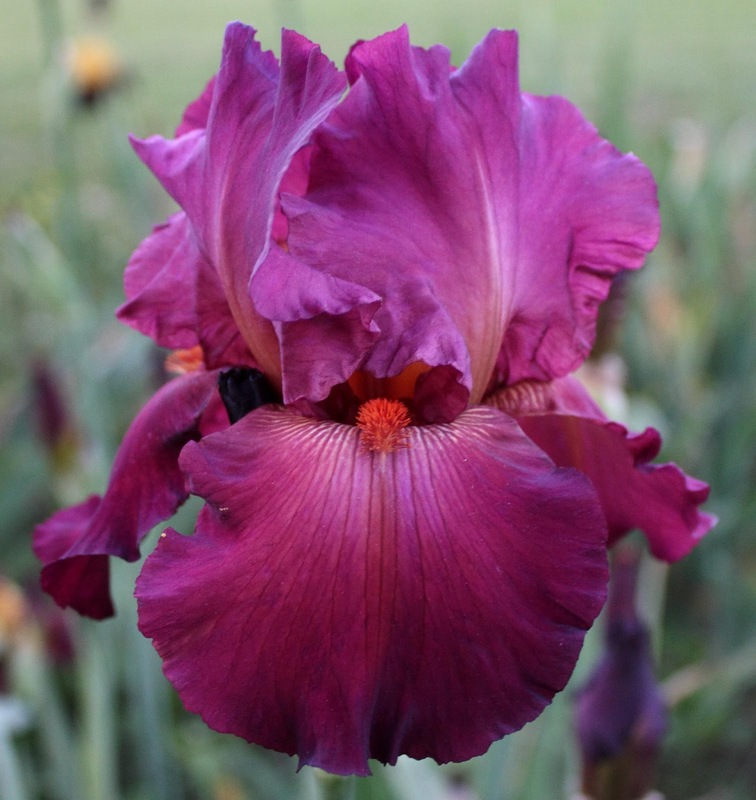 Popular in all areas, this has been voted into the Tall Bearded Iris Society’s Hall of Fame. ‘That’s All Folks’ (Maryott, 2005). Bill Maryott’s last iris introduction before he transformed himself into a daylily hybridizer and the last one was the one that swept the awards. Winning a Wister Medal in 2011 and the Dykes in 2013, That’s All Folks is noted for strong growth, ramrod straight stalks, and huge, colorful flowers. I am a firm believer in yellows in the garden since they bring a shaft of sunlight even on inclement days. These eye catching flowers will attract attention in the garden. ‘Thornbird’ (Byers, 1989). Lloyd Austin, with his Space Age irises, changed flower form, but it was Monty Byers who stormed the American Iris Society and ended winning three Dykes Medals with Space Age varieties. Thornbird won an Award of Merit in 1993 and the Dykes in 1997. 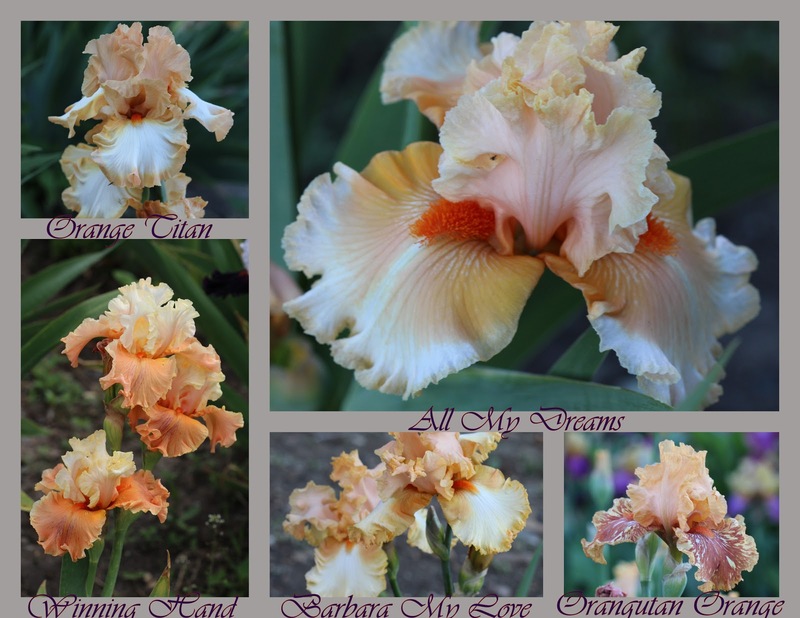 It is also a Tall Bearded Iris Society Hall of Fame iris. It is one of those varieties that the colors can vary widely from area to area and climate to climate, but it is always a garden favorite. My thanks for the photographers who contributed to this blog. Without their help, it could not have been finished. 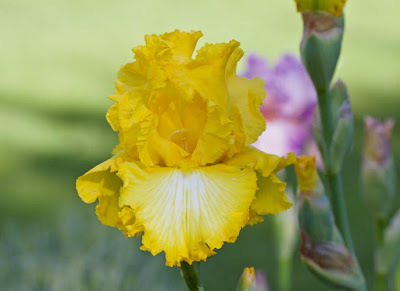 Lloyd Austin, mentioned in the comments about the iris Thornbird, will be the subject of three upcoming blogs about space age irises, their creation, and a fourth blog will discuss those irises today. I was a commercial artist in a past life (before marriage) and have always understood "Collages" to be pasted and glued objects fixed to a background to make a somewhat new abstract design. So strictly speaking what I make is really a "Photomontage" because it is digital pasting of similar objects together to make a new photo. The software I use calls it a collage but that isn't correct. It may be called collage because of the evolution of the English language. But back in my day it would be called a photomontage. This year I took pictures every day of the many irises that opened that day. The pictures above were taken May 13, 2016. Then I made montages of them. I find these montages to be good in many ways. 1. The montage is taken on the day the blooms open so it records bloom date. 2. 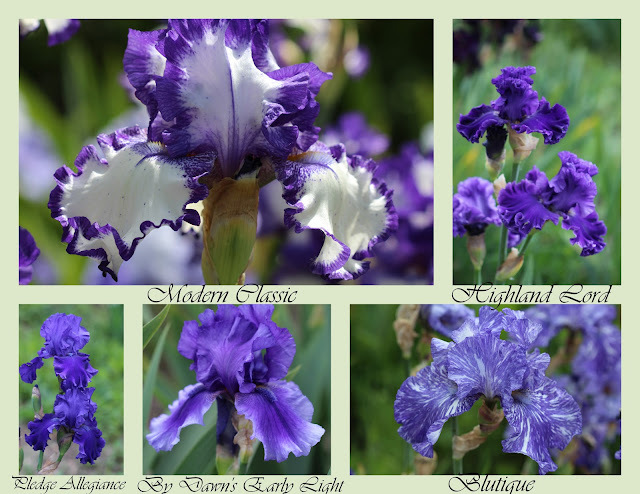 I try to group the photos for the montage in colors that could later be used to plan iris beds. 3. I know that I can use these irises in a single bed because I know they open at the same time. 'Sea Of Joy' Schreiner's, 1985, 'Decadence' Barry Blyth, 2011, 'Gypsy Lord' Keith Keppel, 2005, 'Showcase' Schreiner's 1973, and 'Tumalo Sunset' Schreiner's 2009. This montage shows colors opposite each other on the color wheel so that is called a complimentary color scheme. Using colors that are across each other in the color wheel will give you maximum contrast because orange will make the purple look darker and vica versa. This montage was taken May 31, 2016. Sometimes some of my irises put out more than one open bloom at a time. I love the effect. The visual appeal is dramatic. The one trouble is that they will all close together as well. This color scheme is called Analogous meaning they are colors close to each other on the color wheel. These flowers bloomed on May 14. I guess you could say thy all are in one color family (red violet) but they are all subtly different or dramatically different. Again, I think a bed with these colors in it would be pretty. If you wanted more contrast you could add a yellow or an orange or pink. Arranging these photos together in a montage shows the slight difference in color of all these red wine colored irises. There are hundreds, maybe thousands, of purples and blues in the iris world but that doesn't mean that they look the same. The picture above shows some of the differences. More blues and purples taken May 26, 2016. An interesting note about 'Conjuration', it is at least 50" tall here in our garden. I don't have a lot of yellows but I love the ones that I have. 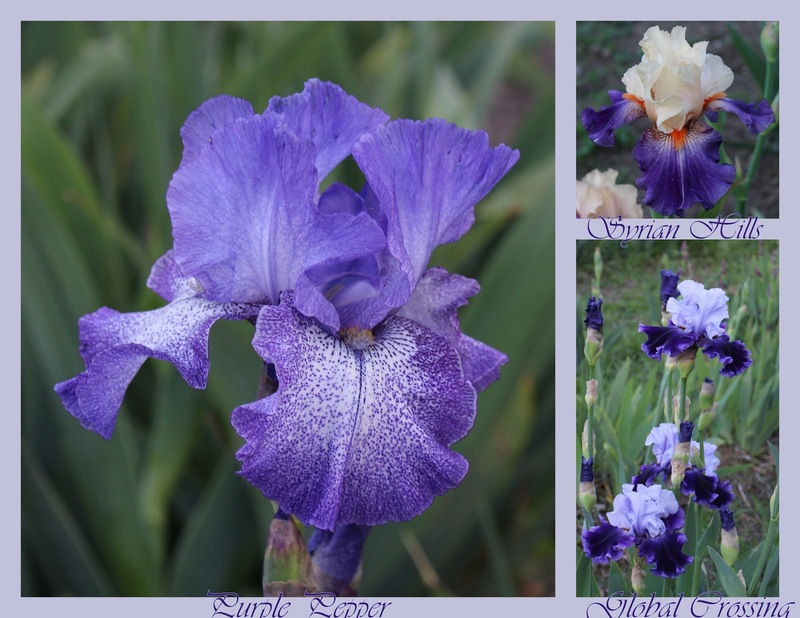 I have started collecting "Broken Color" iris like those pictured above. I find them fascinating. I now have about 29 of them. There are many software programs that you can use to make collages or more correctly photomontages. The one I use is no longer available but a search on line reveals lots and lots of programs that work. Smilebox and Shutterfly both have one. I have found collages or photomontages to be extremely useful as explained previously in this blog. Give them a try. Let me know if you do them and which software you have. How well does it work and how easy is it to use? If you comment on this article it will let others know what other software is out there and tell me and others who read this blog about it. The story of arilbreds begins in the late 19th century, when the exotic aril iris species of the Middle East found their way into the gardens of European plant enthusiasts. Sir Michael Foster, England's foremost iris expert at the time, tried his hand at crossing the arils with the more familiar tall bearded (TB) irises. 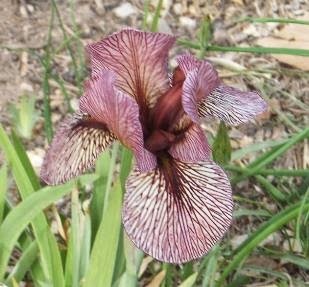 His motives were mainly exploratory; at the time, no one knew if the arils and bearded irises were compatible, or whether desirable garden plants might result from crossing them. Although these early arilbreds were interesting plants, showing features of both parents, they were also quite sterile. Arils and TBs were just too distantly related to produce fertile offspring when crossed. One might expect hybridizers to simply give up on the idea, but many kept trying. The allure of the arils, with their huge globular blooms, often strikingly marked with velvety signals, veins, and stippling, was not something to be lightly set aside. 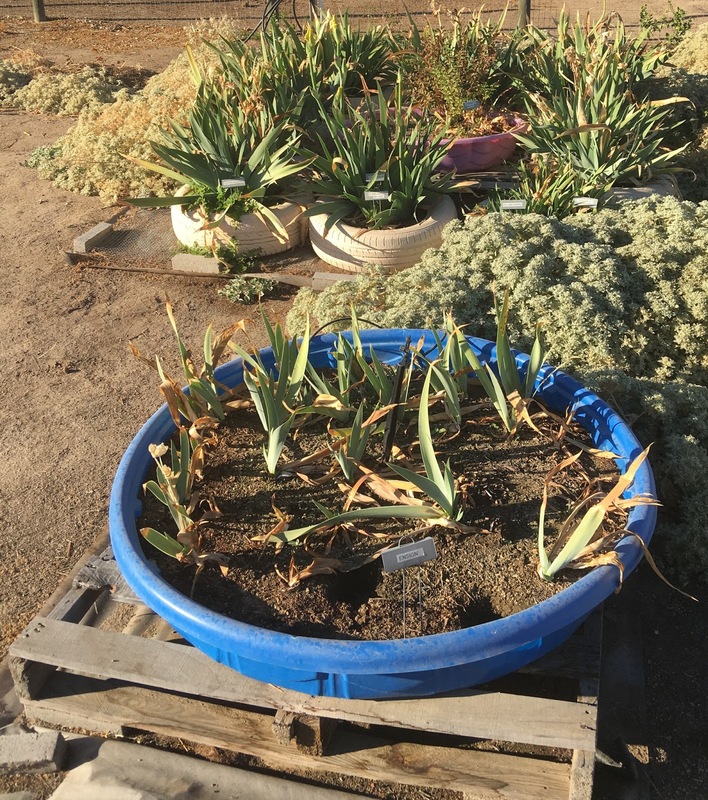 Also, the arils themselves were difficult to grow in England and much of the US, demanding very dry conditions when dormant in summer and winter. So the great hope was that crossing arils with TBs could produce an aril-like bloom on a plant that could grow in any garden where TBs grow. The famous iris breeder William Mohr, working in California, produced an arilbred iris that seemed close to fulfilling this dream. Named for him posthumously in 1925 by his friend and fellow iris expert Sidney Mitchell, the iris 'William Mohr' was an instant sensation. 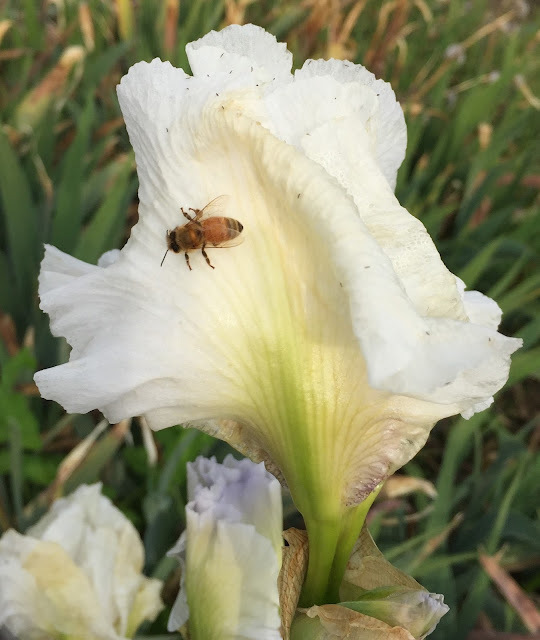 Its large blooms and wide falls, inherited from its aril parent Iris gatesii, proved irresistible in an era when most TBs had relatively small, narrow flowers. Like the other arilbreds of similar pedigree, 'William Mohr' was essentially sterile. But it was so popular that hybridizers all over the country kept making crosses with it, ever hopeful. And occasionally 'William Mohr' would reward such persistence by producing a seed or two. We now understand that these seeds were the result of unreduced gametes, where an ovule is produced by bypassing the normal cell division. Usually it was TB pollen used in making these crosses, so the resulting seedlings were 1/4 aril. 'Mohrson' and 'Grace Mohr' were the first introduced, in 1935, launching a tradition of working "Mohr" into the name of these arilbreds. One of these, 'Elmohr' (P. A. Loomis, 1942) became the first and only arilbred to win the Dykes Medal. 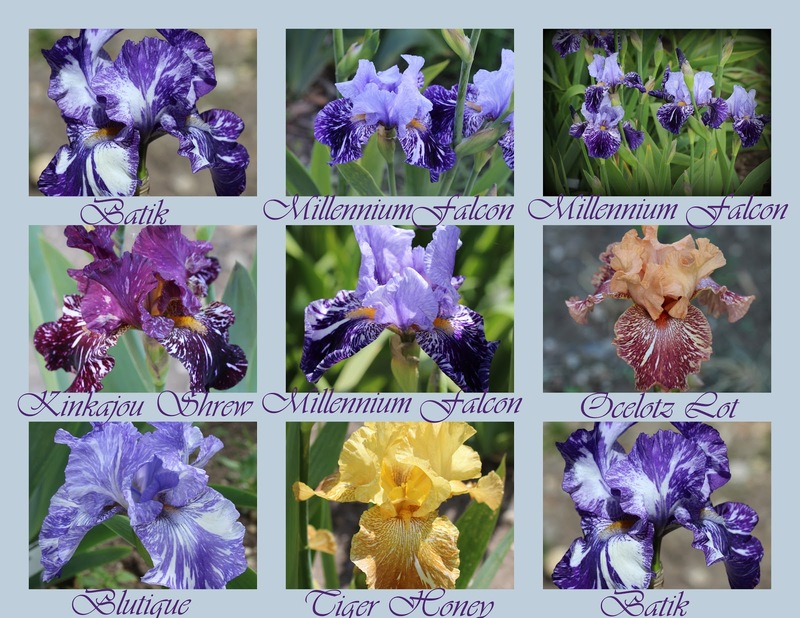 In this way, William Mohr became associated with the "quarterbreds" (arilbreds of 1/4 aril ancestry), even though he himself never produced any irises of this type. Although less widely appreciated than the famous 'William Mohr', there was actually one truly fertile arilbred in cultivation at this time, 'Ib-Mac' produced by the Dutch firm of Van Tubergen and introduced in 1910. Unreduced gametes were once again involved, as its aril parent Iris iberica produced an ovule will two sets of aril chromosomes instead of the usual one. 'Ib-Mac' thus ended up as a balanced tetraploid, with two sets of aril chromosomes and two sets of bearded chromosomes, a configuration that is usually fertile. Crossing 'William Mohr' with 'Ib-Mac' produced the fertile arilbred 'Capitola' (Frank Reinelt, 1940). Many hybridizers now began using 'Capitola' pollen on TBs, a much surer way to produce quarterbreds than hoping for the occasional seed from 'William Mohr'. These quarterbreds were also colloquially referred to as "Mohrs". The frustration for hybridizers of this era was that although one could produce quarterbreds by crossing 'William Mohr', 'Ib-Mac', or 'Capitola' with TBs, there was no easy way to get more arils into the mix. The quarterbreds only showed moderate aril characteristics, and did not go very far in capturing the appeal of the aril species themselves. The great breakthrough in arilbred breeding came from the work of Clarence G. White in the 1940s. Based in southern California, he was able to grow many pure arils and use them extensively in his hybridizing. His early hybrids, such as the perennially popular 'Oyez' (White, 1938), were infertile diploids, but eventually fertile arilbreds began to appear among his seedlings. The first to be introduced was 'Joppa Parrot' (White, 1948). In the decade that followed, a steady stream of fertile arilbreds in a remarkable range of colors and patterns issued from White's garden. We do not know exactly how this happened, because by this time White had given up on keeping records of his crosses, claiming it took too much time away from making the actual crosses. Most likely it was the sheer volume of his breeding program that made these breakthroughs possible. With an enormous number of seedlings, even unlikely events such as unreduced gametes are bound to happen from time to time. The fertile C. G. White arilbreds were later shown to be balanced tetraploids (like 'Ib-Mac' and 'Capitola') with two sets of aril chromosomes and two sets of TB chromosomes. The 1950s saw the founding of the Aril Society International (ASI). Despite the name, its membership was largely concentrated in southern California, with a few in New Mexico and elsewhere. 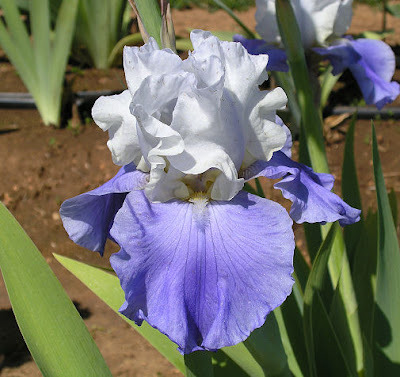 The ASI in its early years provided a much-needed framework for defining the arilbred class and encouraging the breeding of arilbreds with clear, strong aril flower characteristics. To be classified as an arilbred, an iris could have no less than 1/4 aril ancestry. Hybridizers had often crossed the early quarterbreds back to TBs, sometimes for several generations, promoting the progeny as "arilbreds", although their aril genes had in most cases dropped by the wayside, leaving plants that were for all intents and purposes just TBs. 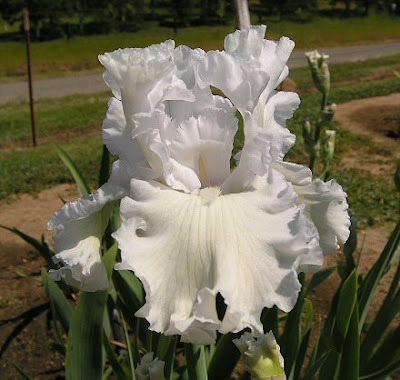 The ASI cooperated with the American Iris Society to establish the C. G. White award for best arilbred in 1961. In 1969, the William Mohr award was added for arilbreds of less than 1/2 aril ancestry, restricting the C. G. White award to those that are 1/2 or more aril. This further encouraged hybridizers to focus on arilbreds with strong aril characteristics. Both these awards attained medal status in 1993. With the "fertile family" of C. G. White arilbreds firmly established, arilbred breeding at last came into its own. As breeders continued to work with these fertile arilbreds, they improved both in gardenability and in the form, color, and pattern of the flowers themselves. The original C. G. White hybrids typically had only a small diffuse signal patch, and veining that was indistinct and blended. 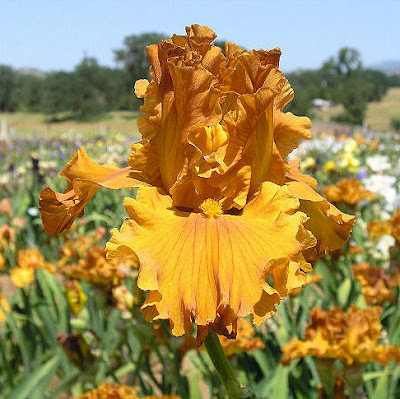 Through the extended effort of dedicated arilbred hybridizers, we now have arilbreds with huge, dramatic signals, striking crisp veining, and an extraordinary range of bright clear colors. Most fertile arilbreds today derive almost entirely from the original C. G. White introductions. A few notable additions to the family appeared subsequently: 'Welcome Reward' (Sundt, 1971), Henry Danielson's fertile regeliabreds such as 'Genetic Artist' (Danielson, 1972), and Harald Mathes's fertile arilbred medians beginning with 'Anacrusis' (Mathes, 1992). Fertile arilbred seedlings produced by Samuel Norris from his tetraploid arils crossed with TBs also appear in the pedigrees of some modern arilbreds. The fertile "C. G. White type" arilbreds have also opened up other new areas of arilbred breeding. 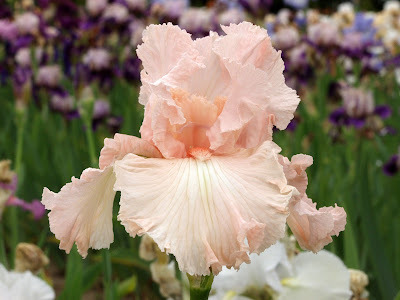 Crossed with TBs, they have given us quarterbreds that are much more aril-like than the old "Mohrs", and crossed with the standard dwarf bearded (SDB) irises, they have produced the charming arilbred medians, which are at least as popular as the taller quarterbreds today. The history of arilbred breeding has progressed from an early period of difficulty and frustration, through the breakthrough of C. G. White's "fertile family" to a modern era of continual improvement and expanding diversity. What will the future bring?